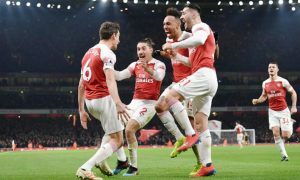 The most interesting game during the midweek will answer the most interesting question – will Arsenal keep their 4th place in the table, they have claimed last weekend. I would not be surprised if any of the big English clubs would call Eddie Howe as soon as there is a vacant managerial position. He has been doing great job at AFC Bournemouth. The most important thing is that he has created sustainability at Dean Court. The Cherries have been growing as a team ever since they have come to the Premier League. This is might be their best ever in terms of table position. Howe’s great achievement is that the has transformed Bournemouth into a Premier League club based on football management, not based on the club owners’ deep pockets. It is true that the club has been financially stable and have recently invested in the squad. Bournemouth’s current transfer budget is at £27.99 million loss. However, the investment has bought quality, which would probably pay off. Huddersfield, have recovered after a bad start of the season and if they would have won their last game game against Brighton, they would be seating at the 14th place in the table, well above the relegation zone. They have lost 1:2, however. This puts them just a point above the 18th placed Southampton. Brighton have just got 3 points at Huddersfield and they sit comfortably in the 14th place with 18 points, just 4 short of 6th placed Everton. 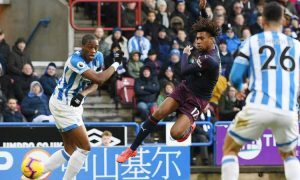 Now they should feel very confident and should be ready to beat Crystal Palace who themselves have just ended a very bad run of results with a 2:0 home win against Burnley. Wilfred Zaha is back for Palace and Andrews Townsend is obviously inform as he has scored one of the goals. If we look at the Crystal Palace team we will find many quality players with significant experience in the Premier League. This has probably been one of the reasons for the Brighton’s manager Chris Houghton said that his players must remain calm before and during their game with Palace. Before winning at home against Burnley Crystal Palace drawn 2:2 at Old Trafford. Brighton are very strong at home, but my feeling is that Crystal Palace will get at least a point at Falmer Stadium. Neil Warnock is doing great job at Cardiff City. 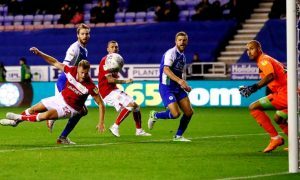 The Bluebirds are still one of the teams who are likely to be relegated, but they don’t look destined to return to the Championship. Each and every game for them will be like a final and who knows, they might keep their Premier League place. West Ham have an ambitions manager who has brought some talented players to London Stadium. Manuel Pellegrini had a awful start of the season with four straight losses but managed to motivate his players and now West Ham have 15 points and sit on 13th position. A win at home against Cardiff City will put them in a very comfortable position. After this game they play against Crystal Palace at London Stadium and then go to Fulham. Just before Christmas the hammers play at home against Watford and then visit Southampton and Burnley. 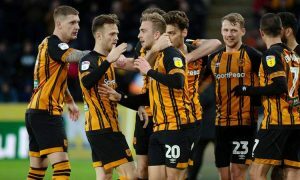 The 2019 will start for them with a home game against Brighton on January 2nd. I think that it is very possible the Hammers could get a lot of points out of those games. It looks to me that the home game against Cardiff could be a beginning of a good run for them. If Watford were about to play Manchester City at home in August or September, they’d probably win or at least drawn against the champions. No one knew how good were the Hornets at the beginning of the season. If we judge them by the way the play, I should say that they are at the same excellent level, than they were in August and September. However, when it comes to winning points, Watford have been recently struggling. They have lost 1:0 on their trip to Newcastle, then drake at Southampton before loosing two games – 0:3 at home against Liverpool and 2:0 away against Leicester. If they had to play against any team different from Manchester City, I would probably tip them to either win or draw at home. However, City have developed a habit to win games even when they don’t play at the level everyone expects them to be. We must admit that Pep Guardiola have made the SkyBlues a very consistent team and they know how to win at the Premier League. I believe that if they go unscathed and unbeaten until New Year’s day when they welcome Liverpool at home, their chance to win a second consecutive Premier League title will be even higher than they are at the moment. Pep Guardiola has all his players available and it looks to me that City will add another 3 points to their scoresheet. Liverpool fans must be a bit worried about their club. Last season the Reds have been amazing they they went forward and vulnerable when they had to defend. This season they are very stable in the back, but quire predictable when they need to attack. Jurgen Klopp changed a bit the way the front three – Sadio Mane, Roberto Firmino and Mohamed Salah play. As a result of that Salah struggles to find a good position to shoot and when it gets to one he misses a lot of chances. Firmino now plays more in the midfield and despite the he has a lot of energy, the Liverpool’s number 9 isn’t that sharp in attack and doesn’t find too much spaces in the oppositions’ defenses as he used to do last season. Sadio Mane looks sharp and aggressive, but he misses a lot of chances. If I need to summarize, the Liverpool’s front trio is much more shy this season than everyone expected. The good news for he Reds is that Liverpool somehow win their Premier League games even when the front three don’t have a good day. This will be a difficult season for Burnley and I think that they will be happy to stay in the Premier League. December is going be a very hard moth for the Clarets. After their home fixture against Liverpool, they welcome Brighton at home, then visit Tottenham and Arsenal, before coming back to Turf Moor to play against Everton. The end the year at home against West Ham and start the new one with a trip to Huddersfield. I would be surprised if the Clarets stay as they are at the moment – in the relegation zone – in the beginning of 2019. Liverpool ha lot to prove to their fans and to anyone who thinks that they are capable of winning the league this season. As of now they don’t look like champions, despite that they are only 2 points behind Man City. I think that the Jurgen Klopp’s side will win, but I don’t write off Burnley. I watched Everton against Liverpool and I was impressed. I don’t remember any Toffees side better than the current one. I have seen a stringer Everton teams, some who played more aggressive football, but not one was even close the to quality of football that the current Marco Silva led team plays. This should be a surprise to anyone, however. Everton have Yerry Mina, Andre Gomes and Luca Digne in their squad, a trio of players who have played for Barseolana. Add the Brazilians Richarlison and Bernard to them and you have an excellent team. Bernard who played on the left side of the Everton’s attack has a great potential and I think that he has a chance to become on the the Premier League valued players next season. Newcastle have turned their fortunes for a while and look like they might avoid the relegation for another season. For that Rafael Benitez should be given a reasonable transfer budget to strengthen his squad on the January transfer market, however. In this visit to Goodison Park, Newcastle will suffer, however. Claudio Ranieri welcomes the club who he has made history with at Craven Cottage. However, there is not place for emotions. Ranieri knows Leicester squad very well, but this will not win Fulham 3 points. 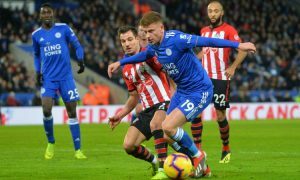 The Foxes are very good in the midfield with the defensive midfielders Nampalys Mendy and Wilfred Ndidi operating in front the the back four. They are also good in driving the ball forward to James Maddison, Demaray Grey, Marc Albrighton and Jamie Vardy, or whoever plays up front. I expect Fulham to improve under Claudio Ranieri, but it looks to me that he will not win against his former club. Wolves have lost on their visit to Cardiff despite that they have opened the scoresheet in the first half. Nuno Espirito Santo’s players are inconsistent and I believe that if they finish the season 12th, where they are at the moment, they should be unhappy with that. Chelsea will win this game, despite that Wolves are team capable of surprising the big clubs. Maurizio Sarri’s men drawn at home against Everton and then lost to Spurs and dropped four points, which is a lot for a team who wants to be in the title race. However, Chelsea are at least one level above the current Wolve’s team and I think they will win at Molineux. Each and every game has become all or nothing for Manchester United. It is hard to justify any of the poor results that Red Devils got during the last two months. I watched them agains Southampton and I thought that they are a really average ram at the moment. Yes, they have some top players, but it is obviously not enough in the Premier League. If Man Untied loose at home against Arsenal, something they didn’t do for a long time, Mourinho will be put under fire, again. I think that there is a very good chance for Arsenal to win at Old Trafford. The reason is that Unai Emery has made his team brave. The Gunners aren’t afraid of playing football. They don’t have the most stable defence, but they are capable to compensate the defensive mistakes they make. Their win against a very good Tottenham team was a perfect example for that. When Spurs took the lead by 1:2 in 34th minute, Arsenal looked like a team who is very likely to loose the game. Then Pierre-Emerick Aubameyang, Alexandre Lacazette and Lucas Torreira stepped in and made the difference. Lucas Torreira is proving to be one of the best transfers in the Premier League this summer. 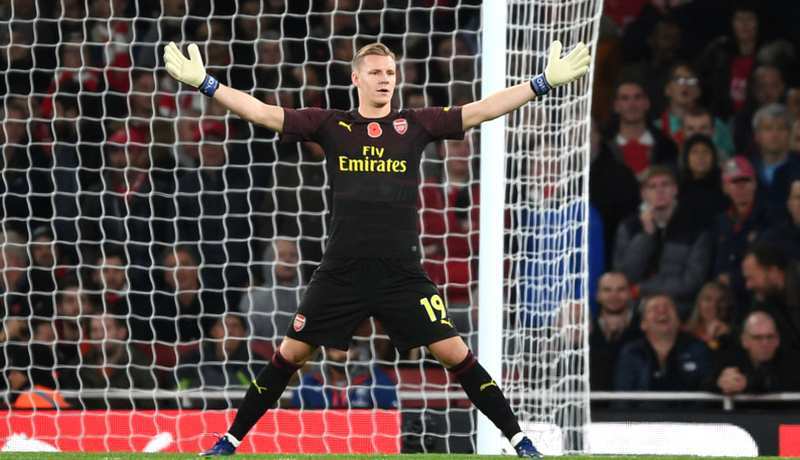 He is becoming a key figure in the current Arsenal team. I don’t see the Saint getting a point or winning on their visit to Wembley. They have given a try against Manchester Untied, but at the end had to settle for a draw. Spurs were outplayed by Arsenal at Emirates during the weekend and now on they will play probably their last game at Wembley as home team in the Premier League.